Maca Root Liquid Extract, Organic Maca (Lepidium Meyenii) Whole Plant Dried Tincture Features and description: NON GMO! Gluten Free! Highest Strength Maca Root liquid extract! Maca Root liquid extract contains ONLY natural ingredients! Hig..
Madder Root Liquid Extract, Madder Root (Rubia Tinctoria) Dried Root Tincture Features and description: NON GMO! Gluten Free! Highest Strength Madder root liquid extract! Madder root liquid extract contains ONLY natural ingredients! High Quality M..
Magnolia Liquid Extract, Magnolia (Magnolia Virginiana) Dried Bark Tincture Features and description: NON GMO! Gluten Free! Highest Strength Magnolia liquid extract! Magnolia liquid extract contains ONLY natural ingredients! High Quality Magnolia ..
Mai Dong Liquid Extract, Mai Dong, 麦冬, Ophiopogon (Ophiopogon Japonicus) Bark Tincture Features and description: NON GMO! Gluten Free! Highest Strength Mai Dong liquid extract! Mai Dong liquid extract contains ONLY natural ingredients! 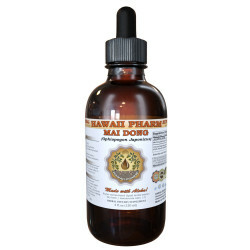 High Qualit..
Mai Ya Liquid Extract, Mai Ya, 麦芽, Barley (Hordeum Vulgare) Sprout Tincture Features and description: NON GMO! Gluten Free! Highest Strength Mai Ya liquid extract! Mai Ya liquid extract contains ONLY natural ingredients! High Quality Mai Ya liquid..
Maidenhair Fern Liquid Extract, Maidenhair Fern (Adiantum Capillus Veneris) Dried Herb Tincture Features and description: NON GMO! Gluten Free! Highest Strength Maidenhair Fern liquid extract! Maidenhair Fern liquid extract contains ONLY natural i..
Maitake Liquid Extract, Organic Maitake (Grifola Frondosa) Dried Mushroom Tincture Features and description: NON GMO! Gluten Free! Highest Strength Maitake liquid extract! Maitake liquid extract contains ONLY natural ingredients! High Quality Mait..
Maitake & Shiitake & Fly Agaric Dried Mushroom Liquid Extract Tincture Features and description: NON GMO! Gluten Free! Highest Strength Maitake D-fraction, Shiitake, Amanita liquid extract! Maitake, Shiitake, Amanita liquid extract .. Male Care Liquid Extract, Male Health Herbal Features and description: NON GMO! Gluten Free! Highest Strength Male-Care liquid extract! Male-Care liquid extract contains ONLY natural ingredients! High Quality Male-Care liqu..
Mandarin Liquid Extract, Dried peel ( Citrus Reticulata) Tincture Features and description: NON GMO! Gluten Free! We produced this extract using a cold maceration method of extraction to ensure that the broad spectrum of therapeutic plant compound..
Mandrake Liquid Extract, Mandrake (Mandragora Officinarum) Dried Root Tincture Features and description: NON GMO! Gluten Free! Highest Strength Mandrake liquid extract! Mandrake liquid extract contains ONLY natural ingredients! High Qualit..
Maqui Liquid Extract, Organic Maqui (Aristotelia chilensis) Dried Berries Tincture Features and description: NON GMO! Gluten Free! Highest Strength Maqui liquid extract! Maqui liquid extract contains ONLY natural ingredients! High Quality ..
Maral Dried Root Liquid Extract, Maral Dried Root (Rhaponticum Carthamoides) Tincture Features and description: NON GMO! Gluten Free! Highest Strength Maral Root liquid extract! Maral Root liquid extract contains ONLY natural ingredients! High Qua..
Marjoram Liquid Extract, Organic Marjoram (Origanum majorana) Dried Berries Tincture Features and description: NON GMO! Gluten Free! Highest Strength Marjoram liquid extract! Marjoram liquid extract contains ONLY natural ingredients! High Quality ..
Marshmallow Liquid Extract, Marshmallow (Althaea Officinalis) Root Tincture Features and description: NON GMO! Gluten Free! Highest Strength, Super concentrated Marshmallow liquid extract! Marshmallow tincture contains ONLY natural ingredients! Hi..
Marshmallow Liquid Extract, Organic Marshmallow (Althaea officinalis) Dried Leaf Tincture Features and description: NON GMO! Gluten Free! Highest Strength Marshmallow liquid extract! Marshmallow liquid extract contains ONLY natural ingredients! Hi..
Mayapple Liquid Extract, Organic Mayapple (Podophyllum peltatum) Dried Root Tincture Features and description: NON GMO! Gluten Free! Highest Strength Mayapple liquid extract! Mayapple liquid extract contains ONLY natural ingredients! High Quality ..
Meadowsweet Liquid Extract, Meadowsweet (Filipendula Ulmaria) Herb Tincture Features and description: NON GMO! Gluten Free! Highest Strength, Super concentrated Meadowsweet liquid extract! Meadowsweet tincture contains ONLY natural ingredie..
Memory Care Liquid Extract, Ginkgo Leaf, Gotu Kola Herb, Rosemary Leaf Tincture Herbal Supplement Features and description: NON GMO! Gluten Free! Highest Strength, Super concentrated Memory care liquid extract! Memory care ti..
Mesquite Liquid Extract, Mesquite (Prosopis Pallida) Seed Pods Tincture Features and description: NON GMO! Gluten Free! Highest Strength, Super concentrated Mesquite liquid extract! Mesquite tincture contains ONLY natural ingredients! High Quality..
Mexican Tarragon Liquid Extract, Organic Mexican Tarragon (Tagetes Lucida) Dried Steams and Flower Tincture Features and description: NON GMO! Gluten Free! Highest Strength Mexican Tarrago liquid extract! Mexican Tarrago liquid extract contains ON.. Milk Thistle Liquid Extract, Organic Milk Thistle (Silybum marianum) Dried Seeds Tincture Features and description: NON GMO! Gluten Free! Highest Strength Milk Thistle liquid extract! Milk Thistle liquid extract contains ONLY natural ingredients! ..
Mistletoe Liquid Extract, Organic Mistletoe (Viscum album) Dried Herb Tincture Features and description: NON GMO! Gluten Free! Highest Strength Mistletoe liquid extract! Mistletoe liquid extract contains ONLY natural ingredients! High Quality Mist..
Monarda Liquid Extract, Monarda (Monarda Didyma) Dried Herb Tincture Features and description: NON GMO! Gluten Free! Highest Strength Monarda liquid extract! Monarda liquid extract contains ONLY natural ingredients! High Quality Monarda liquid ext.. Mood Care Liquid Extract, Kava Kava, Gotu Kola, Passionflower, Ginger, Wild Lettuce Herbal Supplement Features and description: NON GMO! Gluten Free! Highest StrengthMood Care liquid extract! Mood Care liquid extract contains..
Moringa Liquid Extract, Moringa (Moringa Oleifera) Leaf Tincture Features and description: NON GMO! Gluten Free! Highest Strength, Super concentrated Moringa liquid extract! Moringa tincture contains ONLY natural ingredients! High Quality ..
Motherwort Liquid Extract, Motherwort (Leonurus Cardiaca) Dried Herb Tincture Features and description: NON GMO! Gluten Free! Highest Strength Motherwort liquid extract! Motherwort liquid extract contains ONLY natural ingredients! High Quality Mot..
Mu Dan Pi Liquid Extract, Mu Dan Pi, 牡丹皮, Tree Peony (Paeonia Suffruticosa) Bark Tincture Features and description: NON GMO! Gluten Free! Highest Strength Mu Dan Pi liquid extract! Mu Dan Pi liquid extract contains ONLY natural ingredients! High Q..
Mu Li Liquid Extract, Mu Li, 牡蛎, Oyster (Ostrea Gigas) Shell Tincture Features and description: NON GMO! Gluten Free! Highest Strength Mu Li liquid extract! Mu Li liquid extract contains ONLY natural ingredients! High Quality Mu Li liquid extract-..
Mucuna Liquid Extract, Organic Mucuna (Mucuna Pruriens) Dried Seed Tincture Features and description: NON GMO! Gluten Free! Highest Strength Mucuna liquid extract! Mucuna liquid extract contains ONLY natural ingredients! High Quality Mucun..
Mugwort Liquid Extract, Organic Mugwort (Artemisia vulgaris) Dried Flower Tincture Features and description: NON GMO! Gluten Free! Highest Strength Mugwort liquid extract! Mugwort liquid extract contains ONLY natural ingredients! High Quality Mugw..
Muira Puama and Catuaba Liquid Extract Dried Bark Tincture Features and description: NON GMO! Gluten Free! Highest Strength Muira Puama and Catuaba liquid extract! Muira Puama and Catuaba liquid extract contains ONLY natural ingredients! High Qual..
Muira Puama Liquid Extract, Organic Muira Puama (Ptychopetalum Olacoides) Tincture Features and description: NON GMO! Gluten Free! Highest Strength Muira Puama liquid extract! Muira Puama liquid extract contains ONLY natural ingredients! High Qual..
Mullein Liquid Extract, Organic Mullein (Verbascum densiflorum) Dried Flower Tincture Features and description: NON GMO! Gluten Free! Highest Strength Mullein liquid extract! Mullein liquid extract contains ONLY natural ingredients! High Quality M..
Mustard Liquid Extract, Organic Mustard (Sinapis Alba) Dried Seed Tincture Features and description: NON GMO! Gluten Free! Highest Strength Mustard liquid extract! Mustard liquid extract contains ONLY natural ingredients! High Quality Mustard liqu..
Myrrh Liquid Extract, Myrrh (Commiphora myrrha) Gum Resin Tincture Features and description: NON GMO! Gluten Free! Highest Strength Myrrh liquid extract! Myrrh liquid extract contains ONLY natural ingredients! High Quality Myrrh liquid ext..